The trading window will be open until 5 PM IST 30 days prior to the start of the 2019 season. The Indian Premier League (IPL) auction has almost finalised all the squads as the teams tried to secure the services of the players they wanted. A total of 60 players including 20 overseas cricketers were sold in the event and visibly all the franchises looked satisfied with their efforts. However, the trading window is still open and the Delhi Capitals have traded Jayant Yadav to Mumbai Indians for the next IPL season. According to the official IPL website, the off-spinner will now play for the three-time champion side under the leadership of Rohit Sharma in 2019. He featured in the 10 games for the Delhi franchise after being part of the team since 2015 and will be now keen on making the difference for Mumbai Indians next year now. Recently, he was part of India Emerging team and took the team to the final where they lost by a whisker. Delhi Capitals earlier had traded three players Abhishek Sharma, Vijay Shankar and Shahbaz Nadeem to the Sunrisers Hyderabad (SRH) for Shikhar Dhawan. Moreover, they bought 10 players in the auction on Tuesday and were one of the franchises to loosen their purse. Before trading Yadav, they had 25 players in their kitty but now Delhi has a chance to bag one more player if any team wishes to trade a cricketer. 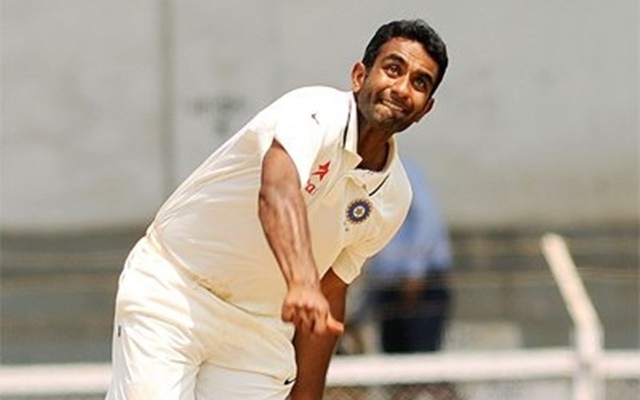 Jayant Yadav played only a couple of matches in the last seasons for Delhi and didn’t pick any wickets in the six overs he bowled. Overall, in 10 outings, the offie scalped four wickets while being economical and it seems to be a good decision from the Capitals to release him. It will be interesting to see how he fares for the Mumbai franchise now. Mumbai Indians updated squad: Rohit Sharma (c), Adam Milne, Aditya Tare, Anukul Roy, Ben Cutting, Evin Lewis, Hardik Pandya, Ishan Kishan, Jason Behrendorff, Jasprit Bumrah, Kieron Pollard, Krunal Pandya, Mayank Markande, Mitchell McClenaghan, Quinton de Kock, Rahul Chahar, Siddhesh Lad, Surya Kumar Yadav, Yuvraj Singh, Lasith Malinga, Barinder Sran, Anmolpreet Singh, Pankaj Jaiswal, Rasikh Dar, Jayant Yadav. Delhi Capitals updated squad: Shreyas Iyer (c), Rishabh Pant, Prithvi Shaw, Amit Mishra, Avesh Khan, Harshal Patel, Rahul Tewatia, Manjot Kalra, Colin Munro, Chris Morris, Kagiso Rabada, Sandeep Lamichhane, Trent Boult, Colin Ingram, Axar Patel, Hanuma Vihari, Ishant Sharma, Ankush Bains, Nathu Singh, Bandaru Ayyappa.